Some of the greatest Christians around are non-Catholic Christians. Their faith in Jesus is truly amazing. Their love of scripture is something that all Catholics need to emulate. However, some of what they think about the Catholic Church is just plain wrong. This section hopes to answer some of these things with some Catholic "quick hits", from the Bible, in a question and answer format. Peter says in 1 Peter 3:15: "but in your hearts reverence Christ as Lord. Always be prepared to make a defense to any one who calls you to account for the hope that is in you, yet do it with gentleness and reverence." Well, this webpage will help you to do just that! I am in that process. We are saved by grace, which I received at Baptism when the Holy Spirit came into me, when I was confirmed and the Holy Spirit came to me again, & I also receive sanctifying grace every time I go to confession and receive Jesus Christ Himself in the Eucharist. Salvation is a lifelong journey, not a one time acceptance of "Jesus Christ as my personal Lord and Savior" in my past (that phrase is NOT in the Bible). Jesus says in Mark 13:13 that IF WE ENDURE TO THE END, we WILL BE SAVED (future tense, not past). Paul says we WILL be saved (future tense, not past) by fire on the day of our judgment in 1 Corinthians 3:15. The New Testament speaks of a rock that followed the Israelites in the desert (1 Corinthians 10:4), “Moses’ seat” (Matthew 23:2), Jannes and Jambres opposing Moses (2 Timothy 3:8), the prophecy that the savior shall be called a Nazarene (Matthew 2:23), and the dispute over Moses’ body (Jude 1:9). Please show me in the Old Testament where these things are. If you can’t, then these things are an example of Tradition being used in the New Testament. The New Testament also says that The Church is the pillar and bulwark of Truth, not scripture alone (1Timothy 3:15). Paul says to hold fast to the Traditions he taught, either in writing or by word of mouth (2 Thessalonians 2:15). The Bible says that Christ is The Head of His Church (Ephesians 5:23), so by attacking His Church, just like Saul did, you are attacking Jesus Himself (Acts 9:4). If Sacred Tradition (what all generations of the Church have taught) is ignored, then the alternative is that heretical popular doctrines of the day, like homosexual marriage, cloning, abortion on demand, embryonic stem cell research, etc., will start to be accepted by pastors and churches who want to be called modernistic, and who don't want to offend the popular culture. This can currently be seen in the Anglican and Episcopalean Churches, as well as some other protestant churches. These formerly evil things become part of their church doctrine by a simple majority vote of the delegates to their conventions. Vice should never become virtue by popular vote. Isaiah 5:20 says "woe to them who call evil good and good evil." When Tradition is not present in a church, this is exactly what happens, and is happening now before our very eyes. James 2:24 PLAINLY says - You see that a man is justified by works and not by faith alone. Matthew 5:16 commands us all to do good works as a way to let our light shine before men, so as to give glory to God. In Matthew 25, at the final judgment, only the people who performed good works got into heaven (Matthew 25:31-46). The people who did not were banished into hell. In those verses, Jesus said that whatever we do for the least of our brethren, we do to HIM! Matthew 7:21 says "Not every one who says to me, `Lord, Lord,' shall enter the kingdom of heaven, but he who does the will of my Father who is in heaven." (In other words, one has to do the good works prescribed in Matthew 25:31-46!) In the book of James, God declares through Scripture that faith without works is dead (James 2:14-17). Who wants dead faith? Dead faith is no faith at all. True faith in Jesus has good works embedded in it. Paul says that scripture makes you complete by equipping you for every good work (2 Timothy 3:16-17). Paul also says in Colossians 1:10 that good works are the fruit of our faith; This is so important because Jesus cursed the fig tree in Matthew 21:19 because it did not bear any fruit, and in Matthew 7:19 Jesus says that every tree that does not bear good fruit is to be cut down AND THROWN INTO THE FIRE. Jesus says that we will do greater works than He did (John 14:12). The only useless kind of works are old Jewish works of the law (Galatians 3:10), like circumcision, ritual hand washing, and dietary laws. These useless works of the law are certainly not good works, which we have to do as a result of our faith in Jesus Christ, and which we were created for (Ephesians 2:10). Hebrews 10:24 says to stir up one another to "love and good works", which indicates that love and good works GO TOGETHER. 1 Timothy 6:18 says that the rich are to also be rich in good deeds, so that they can attain heaven. Titus 3:8 says that those who believe in God must do good deeds, because they are excellent and profitable. Catholics, just like Jesus Christ and his apostles, don’t do good works in order to be saved; rather, we do good works because that is what Jesus expects us to do if we truly have faith in Him. Doing good deeds is the imitation of Christ's life on earth, who raised the dead, healed the crippled, and made the blind see. St. Paul says that there are three things that abide; faith, hope, and love, and THE GREATEST of these is LOVE, not faith (1 Corinthians 13:13). Faith in Jesus Christ and the resultant good works go together like heat and light from a flame! Pretty hard to separate those 2! Do you have a soul? Yes? Then please show it to me. Does gravity exist? Then please show me what it looks like. Has anyone ever seen the wind, or just the effects of the wind? What does air look like? Catholics walk by faith, not by sight (2 Corinthians 5:7). The Real Presence of Jesus is hidden in the Eucharist EXACTLY like the divinity of Jesus was hidden in His manhood. Nobody who looked at Jesus could tell he was God by looking at him (except during the Transfiguration), and the Eucharist on every altar of every Catholic Church is just like that. You can't tell by looking at a consecrated host or the Precious Blood that it is truly Jesus, but, IT IS! Every Sunday Catholics say that we believe in all things seen and unseen, from the Nicene Creed formed in 325 AD. Jesus said at the Last Supper, “This IS my body” (Matthew 26:26), not “This represents my body.” Paul says that if you eat the Eucharist without discerning THE BODY (1 Corinthians 11:29-30), then you eat it to your own condemnation, and could get sick and die. Jesus Himself says His Flesh is real food and His blood is real drink (John 6:55). Just like the Adam physically ate from the tree of knowledge of good and evil and died (Genesis 3:3-17), just so, we are to physically eat Jesus’ (the new Adam, 1 Corinthians 15:45) flesh (John 6:51-56) from His tree (the Cross, Acts 5:30) and live forever. When Jesus says that “the flesh is useless” (John 6:63), He is not referring to His flesh (John 6:51: 54: 55: 56), but rather our human flesh in general. Otherwise, it would mean that Jesus’ flesh is useless, which would negate everything He just said in the entire chapter of John 6. There is no record in any of the gospels concerning the Last Supper of anyone present eating a regular Passover Lamb; rather they ate a consecrated piece of motzah bread that Jesus said was His Body, and we all know that Jesus is the spotless Lamb of God. And always remember, the Jews had to physically eat the Passover Lamb to complete the Passover meal, not a symbol of a Passover Lamb. If the Eucharist is really only a "symbol," then Jesus and His followers didn't really understand anything about the Passover Meal, and that is very hard for any Christian to fathom. Some people say that when Jesus said "This IS My Body," that he was speaking metaphorically, like when He said "I am the Door," or "I am the Vine." But in the cases of the door and vine analogies, no one said "How can this man become a wooden door or a climbing plant. BUT, in John 6:52, His disciples did say, "How can this man give us His flesh to eat?" In other words, His followers understood Him EXACTLY to be speaking literally, not figuratively, in regards to the Eucharist. He even let them leave Him over this "hard saying," and did not go to them and explain to them that he was speaking symbolically, like he did with other parables that he had to explain (like the parable of the sower and the seed). We also have the writings of the disciples of the apostles, the early Church Fathers, like Iranaeus and Ignatius. These early Church Fathers, many of whom were martyred for the faith at the Colosseum in Rome, were taught what to believe by the apostles. In no case did they ever say that the Eucharist is symbolic; rather, they said that it is indeed the flesh of Jesus Christ. Many Protestants refuse to read their writings, saying proudly that "they aren't biblical". They then pick up and read the writings of Max Lucado and Billy Graham! These early Church Fathers, at the risk of their very lives, handed on the gospels and the epistles to all future generations, before there even was a New Testament, which didn't come about until the late 4th Century. Their writings should at least be read from a historical context. To ignore them is to ignore Church history, which some protestants really believe started in the 16th Century with Martin Luther. In Genesis 30:14, it says, “Then Rachel said to Leah, "Give me, I pray, some of your son's mandrakes." In Genesis 40:8, the bible says that Joseph prayed to his fellow captives as follows: “They said to him, "We have had dreams, and there is no one to interpret them." And Joseph said to them, "Do not interpretations belong to God? Tell them to me, I pray you." To pray means merely to ask; it does not mean to talk to God only. Look it up in the dictionary. In 2 Maccabees 15:13-14, the dead Jeremiah appears to Judas Maccabees and it says that he prays much for the people of Israel. The saints are not dead, they are alive. Jesus says that "God is not the God of the dead, but of the living" (Matthew 22:32). Paul says that we are surrounded by a cloud of witnesses, in Hebrews 12:1. Witnesses have to be alive in order to testify on our behalf to the supreme judge. In Revelation 6:10, we learn that the saints in heaven know what is going on down here on earth. In Luke 16:24, we learn that dead people in hell can communicate with the very dead Abraham. In Mark 9:4, the "dead" Moses and Elijah appear to Jesus and communicate with Him regarding his exodus from earth. People who believe that being dead in the body is also dead in the soul are called atheists, not Christians. It would be sinful to conjure up a dead person, like Saul did with Samuel (1 Samuel 28:14), in order to gain hidden knowledge (Deuteronomy 18:10-12). But asking for intercession (1 Timothy 2:1) from live, holy people is very biblical, due to the power they have (James 5:16, 2 Peter 1:4). Revelation 5:8 and 8:3 plainly state that the saints and angels present our prayers to God in the form of incense. Saints pray alongside of us to Jesus as our intercessors. They do not stand "between" us and God. And they can pray for us when we are asleep, 24/7. There is indeed one mediator between God and man, and that is Jesus Christ. And what is He the mediator of? Paul says in Hebrews 9:15 and Hebrews 12:24 that Jesus is the mediator of THE NEW COVENANT, not prayer. Intercession in prayer does not equate to being the mediator of the New Covenant; they are 2 entirely different things. The saints are equal to the angels, and are His sons, according to Luke 20:35-36. John 17:20-23 says that the saints are one with God, and that He has given them HIS glory. “Catholics break the biblical command to not call anyone on earth father by referring to their priests as Father”. One of the Ten Commandments given us by God was to “Honor Thy Father and Thy Mother.” It doesn’t say “Dad”; it says Father. Paul says that he is our father in Christ Jesus in 1 Corinthians 4:15. In James 2:21, James refers to Abraham as our father. In 1 John 2:14, John is writing to the fathers. Hyperbole is used in the Bible in several places, in order to make a point. The point with “call no man on earth your father” (Matthew 23:9) is to let us all know that our Heavenly Father is the Father of us all (“Our” Father). Other examples of hyperbole would be “all have sinned” (Jesus, 1 day old infants, people born with brain damage have not sinned), and “all Israel will be saved” from Romans 11:26 (Israeli murderers, robbers, sorcerers, fornicators, etc., who do not repent will not be saved). Jesus says in Luke 14:26 ,"If any one comes to me and does not hate his own father and mother and wife and children and brothers and sisters, yes, and even his own life, he cannot be my disciple. Does anyone really think that statement by Jesus is to be taken literally? And in America we have this holiday called “Father’s day”. Do you celebrate this day with Catholics? In 2 Maccabees 12:42-45, Judas Maccabees offers up prayer for the dead who had sinned by wearing forbidden idols. The book of Daniel says that the very throne of God is fire: “As I looked, thrones were placed and one that was ancient of days took his seat; his raiment was white as snow, and the hair of his head like pure wool; his throne was fiery flames, its wheels were burning fire.” (Daniel 7:9). And when God speaks, fire issues forth from His mouth: “A stream of fire issued and came forth from before him; a thousand thousands served him, and ten thousand times ten thousand stood before him; the court sat in judgment, and the books were opened. (Daniel 7:10). In the New Testament, at Pentecost, God the Holy Spirit appeared as non-consuming tongues of fire to the apostles (Acts 2:3). God also appeared as a non-consuming fire to Moses in the burning bush (Exodus 3:2). And then there are these 2 verses of scripture that talk about God and fire: Hebrews 12:29: "For our God is a consuming fire. "1 Peter 1:7: "The genuineness of your faith, more precious than gold that is perishable even though tested by fire, may prove to be for praise, glory, and honor at the revelation of Jesus Christ." In Matthew 12:31, Jesus told the parable about blaspheming the Holy Spirit (not believing that the Holy Spirit can save you, no matter what – the sin of despair), and said that anyone who does blaspheme the Holy Spirit "will not be forgiven in this age or the age to come" (Matthew 12:32). Since sins aren't forgiven in Hell, and those in Heaven are already forgiven for their sins, then this one statement indicates another place after death where sins can indeed be forgiven. In the First Book of Peter 3:19 and 4:6, Peter says that after the crucifixion and death of Jesus, that Jesus "went to speak to the spirits in prison", which means that there is a place people go to after they die that is a prison and not heaven nor hell. When Jesus told the parable of the man beating up others who owed him money, after he himself had been forgiven his debts (Matthew 18:23-34), He said “And in anger his lord delivered him to the jailers, till he should pay all his debt. 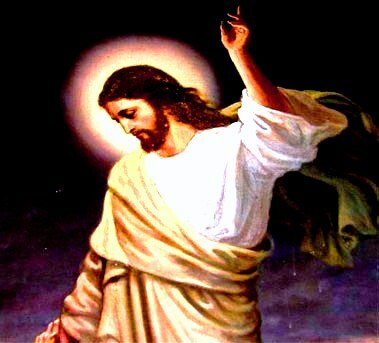 So will my heavenly Father do to you, unless each of you forgives his brother from his heart" (Matthew 18:34-35). Since there is no release program in Hell, and no one wants to ever leave Heaven, this also indicates that there is another temporary place of torment where saved sinners go who have been forgiven their sins, but who have not paid all of their debt, down to the last penny, for their sins. In fact, in Matthew 5: 25-26, Jesus says “Make friends quickly with your accuser, while you are going with him to court, lest your accuser hand you over to the judge, and the judge to the guard, and you be put in prison; truly, I say to you, you will never get out till you have paid the last penny.” Isaiah was caught up into heaven and had to have his unclean tongue cleansed with a burning coal by a seraphim (the angels closest to God, who’s very name means burning one (Isaiah 6:5-7). The Bible also says here that Isaiah’s guilt was taken away by this fire. Why purgatory? It is a blessing because of what the bible says in Revelation 21:27 – “Nothing unclean shall enter heaven”. So unless you are perfect with God when you die, you have no chance to get into heaven, unless you are purged of your sinfulness first. An important point to remember is that the Bible talks about "the abode of the dead", "sheol", and "hades." These terms are NOT referring to hell, but rather the prison that Peter talks about in Peter 3:19 (Revelation 20:14 says that at the end of time, hades will be thrown into hell, which clearly indicates that they ARE NOT the same place). The Catholic Church now uses the term "purgatory" instead of those former terms, and purgatory refers to a place of purifying fire, which burns the hardened crust off of our souls that our sins have formed. Paul prays for the dead Onesiphorus in 2 Timothy 1: 16-18. And besides all of that, there is 1 Corinthians 3:11-15: For no other foundation can any one lay than that which is laid, which is Jesus Christ. Now if any one builds on the foundation with gold, silver, precious stones, wood, hay, straw -- each man's work will become manifest; for the Day will disclose it, because it will be revealed with fire, and the fire will test what sort of work each one has done. If the work which any man has built on the foundation survives, he will receive a reward. If any man's work is burned up, he will suffer loss, though he himself will be saved, but only as through fire. "Catholics need to be “born again” in order to be saved." Finish the sentence. The sentence says that you must be born again of water and the spirit in order to be saved (John 3:5). This is a clear reference to Baptism (Matthew 3:16). We know from Matthew 3:16 that the Spirit comes to us at Baptism, which makes us a new creation in Christ, rather than just being a carnal being of planet earth. The phrase can also be translated "born from above" in addition to "born again". Tell them that you have been baptized and this is no longer an issue for you. Water and the Spirit together in the Bible always mean a new creation, or new life, or new beginning. In Genesis 1:2, the spirit moved over the water, creating the plants and animals and humans (new creation). In Genesis 8:8-12, Noah let loose a dove (symbolizing the Holy Spirit) over the water to find out if there was any dry land (new beginning). In Exodus 13:21, The Holy Spirit appeared as a pillar of fire next to the Red Sea to guard and guide the Israelites to the Promised Land (new beginning). And as previously mentioned, the Holy Spirit descended as a dove over the water where Jesus was baptized in Matthew 3:16. And as if to put a punctuation mark on the true meaning of being born again of water and the spirit, a few verses after John 3:5, where Jesus says you must be born from water and the spirit, in John 3:22, Jesus actually baptizes people - which is the only place in scripture where He does that! "Catholics need to have a personal relationship with Jesus Christ." Catholics consume the body, blood, soul and divinity of Jesus Christ at every Holy Communion (John 6:56). Like the Blessed Virgin Mary, we are living tabernacles of Christ immediately after receiving Holy Communion. You can’t get more personal than that. And when they say that you must have accept Jesus Christ as your personal Lord and Savior in order to be saved, please ask them to show you where that is in the Bible...It isn't in there. "You cannot lose your salvation, even if you commit what you Catholics call a mortal sin. Once saved, always saved. And besides, all sin is equal." Jesus says in Mark 13:13 that you have to endure to the end to be saved. Paul says in 1 Corinthians 9:27 that he pummels his body lest he himself should be disqualified from heaven after preaching the gospel. Peter says in 2 Peter 2:20-22 that if you go back to your old ways of sin after following Christ, your new sinful state in life is worse than the first time you were a habitual sinner. Paul says in Hebrews 10:26-29 that if you sin deliberately after receiving the knowledge of truth, a fury of fire will consume you. The Spirit of God rested upon Saul in 1 Samuel 10:6, and then the Spirit left Saul in 1 Samuel 16:14. Concerning mortal sin, John says in 1 John 5:16-17 that there is indeed a thing called mortal sin, which he recommends not even praying about. Also, in John 19:11, Jesus himself talks about Judas having the GREATER sin. "You Catholics say that the Mass is an unbloody sacrifice of Jesus. The bible says that Jesus died once for our sins. Why do you keep on crucifying him again and again on that altar?" Malachi 1:11 says that “For from the rising of the sun to its setting my name is great among the nations, and in every place incense is offered to my name, and a pure offering; for my name is great among the nations, says the LORD of hosts.” This is a prefigurement of the Mass that Jesus initiated at the Last Supper, when He said “Do THIS in memory of me”. The definition of the word THIS is that the changing of the bread and wine into His Body and Blood (Luke 22:19-20) must be perpetuated for all time. The Eucharist is the replacement for the Passover meal that the Jews ate – a meal that saved them from physical death, and used unleavened bread. The Eucharist also uses unleavened bread, and saves us from spiritual death. The priest is not "re-sacrificing" Jesus over and over again. Rather, the original sacrifice is made present once again, through time and space, for us here now to enter into. If you've ever watched the same movie repeatedly, the actors aren't redoing their original acting over and over again. It is just re-presented again, in the original form. The same goes for the Mass. This Holy Sacrifice of the Last Supper can never be repeated, because it never ends, and is offered for all generations for all time. By attending Mass, where heaven meets earth, we are physically present in a mystical way with the angels and saint and Jesus in the Heavenly liturgy, the marriage supper of the Lamb (Revelation 19:9). "Why do you have Jesus hanging from a cross in every Catholic Church? Don’t you know that He is risen?" Like St. Paul, the Catholic Church preaches Christ crucified (1 Corinthians 1:23). By looking at the crucified Jesus on the cross, it is a constant reminder to us all that Jesus said that we, His followers, must pick up our own cross and follow him (Matthew 10:38). Meditating on the crucifixion of Jesus is healing for our soul (Isaiah 53:5). Catholics who meditate on the Passion of Jesus Christ on a regular basis get great spiritual benefits from doing so. The Passion of Jesus Christ is not just some past historical event; rather, it is an on-going salvific event that is just as present to us as it was to the people who were there at that time. Always remember that we humans are stuck in time and space, and God is not. God is eternal, and every event that ever happened or will happen is present to him. And if we unite our sufferings with Jesus' sufferings on the cross through meditation, then we too become witnesses to his crucifixion, in a mystical way. We know this from John's vision in Revelation 5:6, where John sees Jesus in heaven looking as though he had been slain. Many of the great saints who meditated on the Passion say that it is one of the best ways to overcome habitual sin. "It is forbidden to have statues, and yet, you Catholics have statues in all of your churches. This is idolatry!" It certainly would be idolatry if any Catholic thought that the plaster and paint before him in the form of a person was actually a god. When God wrote this Commandment, the Israelites at that very moment were worshipping an Egyptian god, the golden calf (Exodus 32:4). They were worshipping it as a god. It is not forbidden to have statues. The Ten Commandments were carried around in the Ark of the Covenant, which had 2 statues of angels on top of it (Exodus 25:22). Solomon had statues of cherubim in his magnificent temple (Ezekiel 41:19). Moses had a serpent statue made in the desert, so that all who looked upon it (not worshipped it), would be healed of snake bites (Numbers 21:8). When people stand up, place their hands over their hearts, and pledge allegiance to a red, white, and blue colored piece of fabric, that is only honoring what it represents, it is not worship. The exact same thing goes for statues. The devil uses evil imagery on TV, in the movies, on web pages, in magazines, and on billboards to ensnare humans every day; conversely, the Catholic Church uses sacred imagery and art to inspire people to holiness. When you look at a picture of your dead child or parents and start crying, you are not “worshipping” the picture; it is only a reminder of what the person looked like. Mary couldn’t have been immaculately conceived. Paul says in Romans 3:10….”there are none righteous, no not one”. Paul was quoting Psalm 14 (“It is written”), which is referring to atheists. In the book of Luke, there are at least 3 people in the New Testament who are righteous – Simeon (Luke 2), Elizabeth, and Zechariah (Luke 1). The angel Gabriel called Mary “full of grace” before she conceived Jesus in her womb (Luke 1:28) – that must make her righteous and immaculate in the eyes of God, to be “full of grace”. And besides, we had all better be righteous, or we won’t make it into heaven (Matthew 5:20). Original sin is passed onto babies from their mother's womb. The Immaculate Conception of Mary therefore prevented original sin from being passed onto Jesus. Jesus lived in Mary's womb for 9 months, and that womb had to be pure and holy for Jesus to live there, as Mary's womb was the holy of holies that contained the Word of God, made flesh. For the record, Mary was not the first immaculately created woman...Eve was. Mary is the new Eve, who overcomes Eve's yes to the spirit Lucifer which allowed forbidden fruit and damnation to enter the world by saying yes to the spirit Gabriel, which allowed the Eucharist and salvation to enter the world. Mary's Immaculate Conception doesn't mean that she didn't need a savior; all it means is that she was rescued from sin by being given His grace ahead of time to not fall into sin; the rest of us are rescued from sin by the blood of Jesus, his flesh in the Eucharist, our love for God and neighbor, and through the sacrament of confession. And Luke 6:43 says " For no good tree bears bad fruit, nor again does a bad tree bear good fruit." Elizabeth tells Mary in Luke 1:42: "Blessed are you among women, and blessed is the fruit of your womb! So that means that since Jesus is the fruit of Mary, and a bad tree cannot bear good fruit, then it logically follows that Mary, while not divine, is certainly free from sin, like her Son. Otherwise, she could not have the pure and sinless God of the universe inside of her. "The Rosary is nothing but repetitive prayer, which is forbidden by scripture, in Matthew 6:7." Matthew 6:7 says not to heap up empty phrases, like the Gentiles do. The vocal part of the Rosary is made up of the Our Father, the Glory Be, the Apostles Creed, and the Hail Mary. The Our Father is right from the Bible, the Glory Be says “Glory Be to the Father, and to the Son, and to the Holy Ghost, as it was in the beginning, is now, and ever shall be, world without end, Amen.” The Apostles Creed comes to us from the Apostles. The Hail Mary comes to us from Luke, where the words of Gabriel (Hail Mary…) and the words of Elizabeth (blessed art thou…) are joined with the exhortation for the intercession of Mary, from John 2 (the waiters asked for Mary’s intercession to her son regarding no more wine). Anybody who compares these biblical prayers to the “empty phrases” that the Gentiles used when praying to Isis, golden calves, and sun gods is really stretching it. 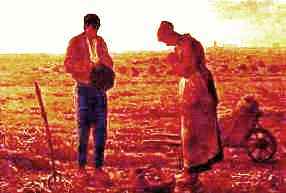 Jesus Himself repeated his prayer to God the Father at least 3 times in scripture during the agony in the Garden (Matthew 26), which, by the way is one of the 20 non-vocal meditations of the Rosary, which come to us from scripture. In Revelation 4:8, the 4 living creatures in heaven say the same prayer over and over again, day and night, without ceasing. Of course, no one should just say the prayers of the rosary without meditating on the meaning of the 20 mysteries. The meditation on the mysteries, rather than concentrating on the words of the Hail Mary prayer, is the key to the success of the Rosary, as it unites vocal prayer with the meditations in the mind of the lives of Jesus and Mary, and it drives the devil crazy. "There is nothing in the Bible that says we have to worship Mary, like you Catholics do. She was just an ordinary woman like all women." The Bible says that Mary’s soul, still very much alive and well as are all souls in heaven, magnifies the Lord (Luke 1:46). The Bible also says (Luke 1:48) that ALL GENERATIONS are to call her blessed (and presumably to really mean it, and not just pay lip service). Like the Old Testament Ark of the Covenant (Hebrews 9:4) which carried manna from heaven, the word of God, and the rod of Aaron that was dead and came back to life, Mary, in her womb carried Jesus who is the bread of life (John 6), the Word made Flesh (John 1), and who also was dead and who came back to life. Her adoptive son, St. John, says in Revelation 11:19 that he sees the long lost Ark of the Covenant. In the next sentence he describes the Ark as “A Woman (Genesis 3:15) clothed with the sun” (Mary appeared as a Woman Clothed with the Sun at Guadalupe, in 1531). Catholics do not worship the very much alive (Matthew 22:32) Mary, but we do ask for her very powerful intercessory prayers (1 Timothy 2:1, James 5:16) alongside of us and Jesus, not between us and Jesus. After all, if we are to imitate Jesus who honored his mother and father, shouldn't we do the same? And if we want Jesus to be our brother, doesn't that automatically make...Mary...our...Mother? And besides all that, we know from Luke 6:43 that a bad tree cannot bear good fruit. In Luke 1:42 , we learn that Jesus is the fruit of Mary's womb, so if Jesus is pure and holy, then so must Mary be, although she is not a goddess. 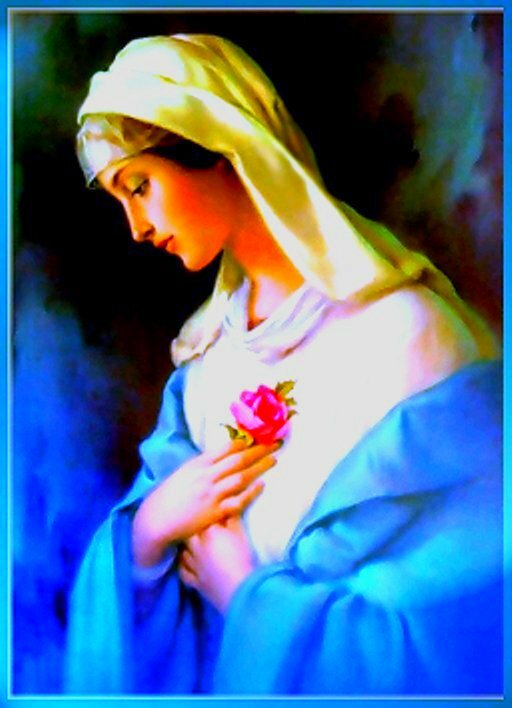 Luke 1:30 says that Mary had found favor with God BEFORE conceiving Jesus in her womb. In Luke 1:28 Gabriel calls her "full of grace" before the incarnation; one cannot be full of grace and have any sin, otherwise she would not be full of grace. There is a huge difference between the veneration due to Mary and the saints and the worship to God alone, just like there is a huge difference between the honor you must give your earthly mother and father and the worship due to God alone. And no one gives honor to their earthly father by ignoring or putting down their own mother; Rather, if you truly love your earthly father, then you will honor his wife, your mother, as well. No one would get into your house if they said that they love you, but your mother was a useless "vessel" or "incubator" for you, and had nothing to do with how you turned out. The exact same thing goes for getting into heaven as well. The Catholic Church added seven books to the Old Testament at the Council of Trent, following Martin Luther’s Reformation in the 16th Century. This is totally false. These seven books, Baruch, 1 and 2 Maccabees, Judith, Tobit, Wisdom of Solomon, and Sirach were put into the Bible by Pope Damasus I way back in the late 4th Century. They were approved at the Councils of Hippo in 393 AD, and the Council of Carthage in 397 AD. Look it up! They were written in Greek, so the Hebrew speaking Jews didn’t consider them to be from God. However, the Greek speaking Jews at the time did, and they remain in their bible to this day. Luther, some 1100 years later, removed them from the Bible, under his own authority (infallible? ), because they didn’t agree with his own personal opinion of what the Bible should have said. The Council of Trent, which corrected all of the abuses that started the Reformation (the selling of indulgences), in response to Luther taking them out of his personal bible, merely reaffirmed that they were scriptural. As proof of this, in the century before Luther, these books were published in the Gutenberg Bible. Protestants adhere to the Catholic Tradition of having 27 books in the New Testament, which was also decided at the Councils of Hippo and Carthage in the late 4th Century, but then strangely disbelieve the Catholic Church when it comes to the Old Testament. The Wisdom of Solomon is actually mentioned in the New Testament, in Luke 11:31 and Matthew 12:42. An interesting coincidence is that the Protestant Bible has 66 books in it. Six is the number of incompleteness in the Bible, as in 666. The Catholic Bible has 73 books in it. 7 is the number of completion (God rested on the 7th day after creation, 7 Sacraments, 7 days in the week, forgive someone 7 times 70, etc.). Three is the number of the Blessed Trinity. The Catholic Church's scandal where priests molested altar boys proves the Catholic Church is evil. And what about the protestant Jimmy Swaggart visiting prostitutes on Bourbon Street? The protestant Jim Bakker seeing a young woman on the side? The protestant Jesse Jackson fathering a baby out of wedlock? The protestant Al Sharpton making up the Tawana Brawley story? The protestant Jim Jones murdering hundreds of his followers with poison? The protestant Tony Alamo getting caught molesting young girls in Arkansas? The protestant David Koresh molesting young girls in Waco? The protestant Puritans murdering women in Massachusetts accused of being witches? Do any of those protestant scandals "prove" that the Protestant Church is evil? And besides all of that, there were scandals in the early church, namely that of Judas who sold Christ to the Pharisees so they could hand him over to the Romans, and that of Peter, who denied Jesus three times. The Church survived those apostles, hand picked by Jesus Himself. Sinful leaders of the Church do not necessarily equate to an evil Church. It only means that the leaders are human, not gods. Just look how evil politicians in charge of our country commit adultery and steal money. That doesn't mean that America is a rotten country and we should leave it; rather, it only means that we elect weak people who sin to office. The exact same thing goes for the 2% of priests over 50 years who have fallen into grievous sin. The other 98% are clean as a whistle. Mary had sexual relations with Joseph after Jesus was born (Matthew 1:25), & because the Bible says that Jesus had brothers (Matthew 13:55). Matthew 1:25: but knew her not "until" she had borne a son; and he called his name Jesus. The word "until" does not necessarily mean a change in status after the event has passed. How many fathers have gone on trips and told their children to be good "until" I get back? For sure, the father is not saying that the kids should start being bad after he gets back. In Matthew 28:20, Jesus tells us all that He is with us always, "until" the end of the age. Jesus is surely not implying here that He won't be with us in heaven after the end of our time here on earth. Matthew 13:55: Is not this the carpenter's son? Is not his mother called Mary? And are not his brothers James and Joseph and Simon and Judas? The word "brother" in the bible, "adelphos", also means kindred, brethren, or cousin. Just like today, there are Christian brothers and sisters who are not blood related. If Jesus had brothers, then He would not have entrusted "The Woman" (his mother Mary) to the apostle John at the foot of the cross (John 19:27). Jesus Himself said that whoever did His will was His brother (Mark 3:35). 1 Corinthians 15:6 says that Jesus appeared to 500 brothers, which is proof that the word "brother" is not to be taken literally. In 1 Corinthians 16:12, Paul calls Apollos his "brother". In 2 Corinthians 1:1, Paul calls Timothy his "brother". In 2 Corinthians 2:13, Paul calls Titus his "brother". In Philippians 2:25, Paul calls Epaphroditus his "brother". In 2 Peter 3:15, Peter calls Paul his "brother". Mary is the spouse of the Holy Spirit. Joseph would surely not have violated Mary's holy womb (Ezekiel 44:2), the pure Ark of the New Covenant. The Catholic Church sold indulgences in the 16th Century, and that proves the entire Catholic Church is evil. The Diocese of Mainz, where Luther was, offered indulgences (the easing of punishment after the guilt of sin is taken away through Confession) for people who donated money for the Vatican. Almsgiving is recommended by the bible in many places (Tobit 12:9, Sirach 3:30, Luke 12:33, Acts 10:4) for the atonement of sin. There is nothing wrong with almsgiving. The appearance of impropriety, however, where Luther saw all of this as the "selling of indulgences", is what precipitated his reformation. This perceived abuse was only in the diocese of Mainz, however, and was not widespread. All one has to do today to see the same kind of abuse is to listen to protestant TV preachers asking for a "faith offering, if this show has been a blessing to you", in other words, "give me money for the blessing I have just given you through my preaching". And besides that, they tell their viewers that if they do give a sacrificial offering to them, then that is a seed that will help them become wealthy in this life, something that is NOT in the New Testament, anywhere. Real Christians know that the New Testament preaches against riches (James 1:11, James 5:1, Revelation 3:17), and only promises rewards in the next life (James 2:5, Luke 18:22).